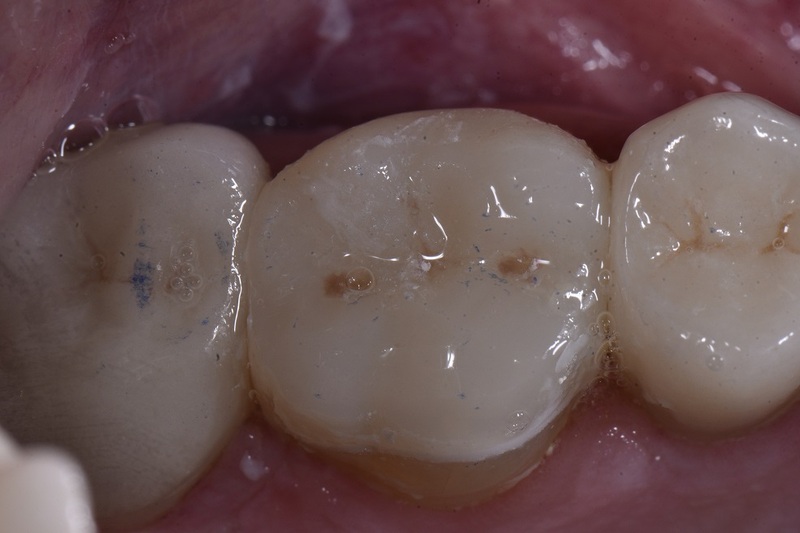 Conservation of enamel for Minimally Invasive Dentistry is a key tenet. 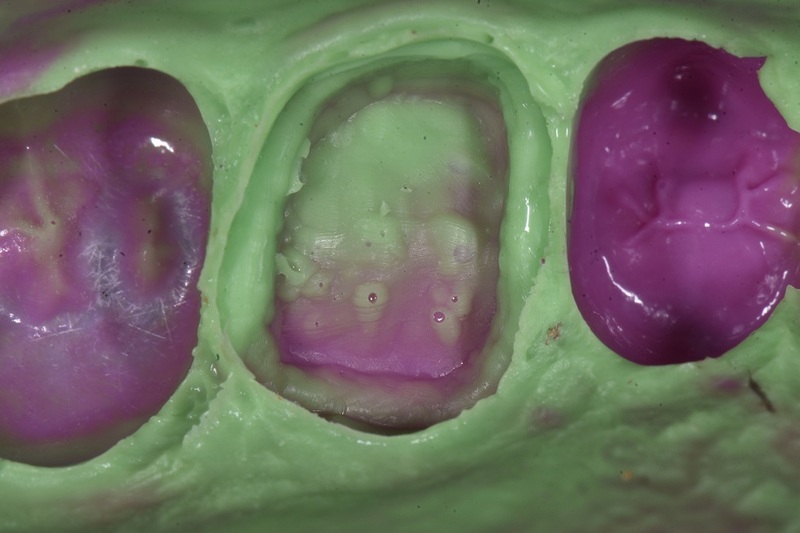 I had the opportunity to reinforce a structurally compromised tooth using Standard 3/4 crown prep with palatal reduction and light chamfer to preserve the bulk of enamel in this area. 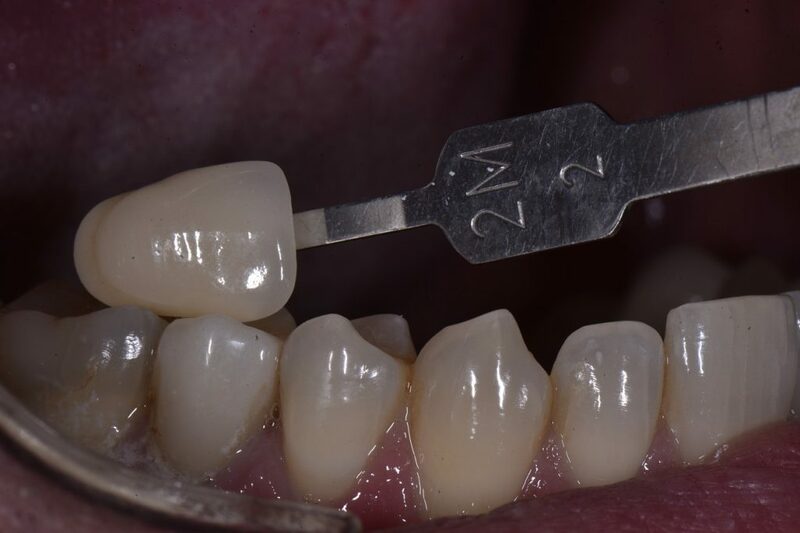 Buccally, remember e-max can be honed down to 0.3mm, hence the ultra-thin buccal reduction. 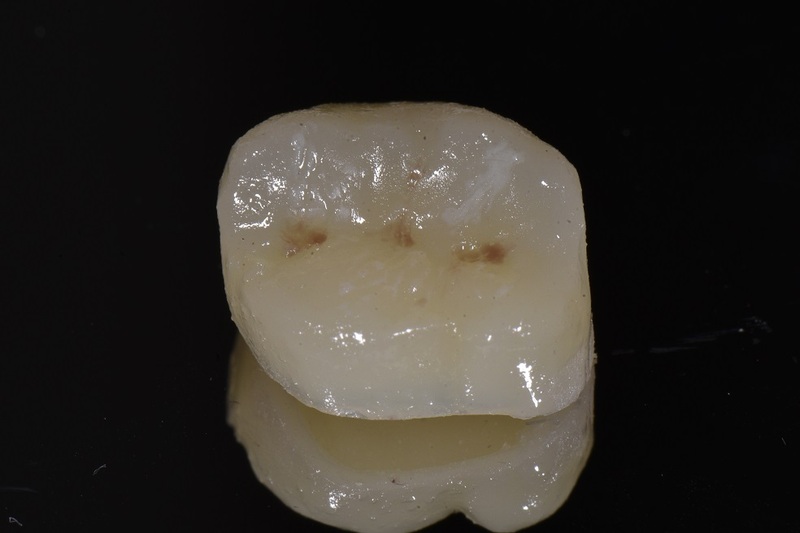 This tooth should now be much more protected against catastrophic fracture than with the extra-large composite restoration with thin residual M wall. Provisional material: Voco Structur Premium A2. Stain: Voco Final Touch Brown and White.